The best way to improve performance is to improve staff engagement. 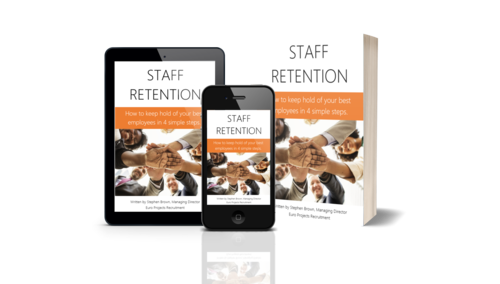 Improving staff engagement drives better customer service, increases repeat and referral business, reduces waste and makes it easier and cheaper to attract the brightest talent to help you grow. The International Employee Engagement Survey conducted by Gallup and known as the ‘Gallup 12’ was published in April 2018 with the result that only 11% of the UK workforce consider themselves engaged in their work. This means that 89% of the UK workforce consider themselves either disengaged or worse: actively disengaged. Run your own staff engagement survey, to be worthwhile it needs to be anonymous and conducted by a third party. The Gallup 12 (below) is the most proven survey you can use. Communicate: Hold frequent and regular staff meetings, schedule these and make them part of the fabric of your business. Know what you stand for: Your culture and values are both the foundation and guiding star of your business, make sure these are well defined, practiced by everyone and continuously reinforced. Eat together: Celebrate success on a frequent basis and share food, whether it’s a box of pizzas or a 3 course meal, the firm that eats together, stays together. Finish each week on a high, hold a 'sunshine meeting' on Friday afternoons to allow team members to share their successes of the week. 1. I know what is expected of me at work? 2. I have the materials and equipment I need to do my work right? 3. At work I have the opportunity to do what I do best every day? 4. In the last seven days I have received recognition or praise for doing good work? 5. Does my supervisor, or someone at work seem to care about me as a person? 7. At work my opinions seem to count? 8. The mission/purpose of my company makes me feel my job is important? 12. In the last year I have had opportunities at work to learn and grow?